The French are holding the Spanish king’s cousin Isabella prisoner. The scheming Count of Seville intends to hand over secret military papers in exchange for her release. Zorro destroys the papers, takes the Count’s place and with the help of three musketeers, frees Isabella. He conducts her safely back to Spain only to be charged with treason. 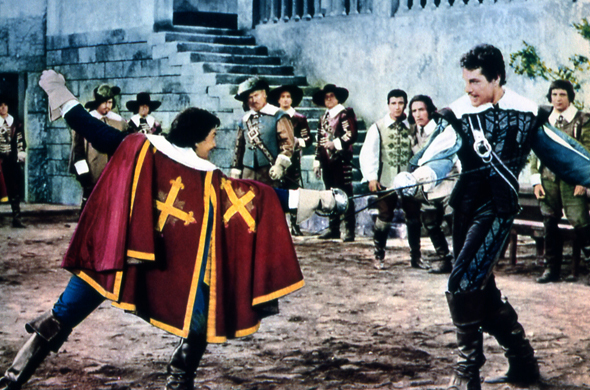 The musketeers save Zorro who defeats the Count in a sword fight and wins the hand of Isabella.